This introduction is aimed at people with little or no knowledge of collecting British military insignia. It may be that you want an item connected with your family history, you want to get a badge for a friend, or you are trying to identify a badge. The US has more internet users than the UK, and therefore more Americans are likely to see our web site than Brits. We are concerned that some of our phraseology may not cross the Atlantic as well as intended. We will keep British spellings, but would appreciate comments about anything on our site that may inadvertently cause irritation, confusion or unintentional amusement. Materials - what is it made from? Please see our separate Abbreviations and References page. Otherwise known as Staybrite, (alternative spellings Sta-Brite or Staybright). We abbreviate Anodised Aluminium to A/A on our lists. Anodising is an Electro-plating process resulting in lightweight shiny badge. The main colours used are gold, silver and black. 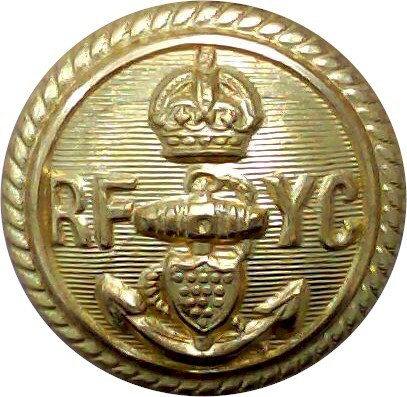 Staybrite replaced brass and white metal as the main metal for British Other Ranks military insignia from about 1950 onwards. Given that King George VI died in 1952, it stands to reason that King's Crown Staybrite insignia is quite rare. It is almost impossible to repair scratched or broken A/A insignia. Damaged A/A badges have very little value and we only deal in pristine A/A insignia unless it is extremely rare. A/A badges are so shiny that soldiers sometimes paint their beret badges black as a method of camouflage. Black-painted badges are only worn on field exercises or operations - not in barracks. Some people are quite happy with heavily worn or broken badges, believing them to carry an aura of authenticity. They may cherish a corroded badge dug-up from a battlefield, or one that has family or sentimental connections. Beauty is in the eye of the beholder. Most collectors will not buy damaged insignia unless it is very rare or easily repairable. This is a matter of personal taste, but either way, broken badges have a lower re-sale value due to the cost of repairing the item if that is the choice of the next owner. A bad repair can reduce the value further but even with a high quality repair, a repaired badge will be worth less than an intact original. Some people remove the fastenings from the back of badges so that they fit in display cases - this reduces the value of the badge. However, it should be noted that a small number of metal badges are officially issued without fastenings so that they can be sewn onto uniforms, examples are the Women's Royal Air Force A/A cap badge and some Cavalry NCO's metal arm badges. Sometimes it is not obvious that a badge is broken - to avoid wasting money we suggest that you invest in good Reference Books. An item is only worth what people are prepared to pay, and we prefer not to buy damaged or repaired badges. Please see Anodised Aluminium and our Purchasing Policy. You may assume that all items on our list are in good condition unless otherwise stated. A manufacturer's brand name for a plastic material. The word Bakelite comes from its inventor LH Baekeland (1863-1944). Often used by other dealers to describe WW2 economy issue insignia. As a wartime economy measure, the Government 'saved brass to make bullets' and the traditional metal badges were then made from plastic. We do not usually use the word Bakelite on our lists - search our lists for the word 'plastic'. Battle Dress Uniform in the US = Cotton/Nylon camouflage uniform introduced in the 1970s and still worn. Note - the British abbreviation is BD, not BDU. A mixture of 2 metals, normally brass and white metal. 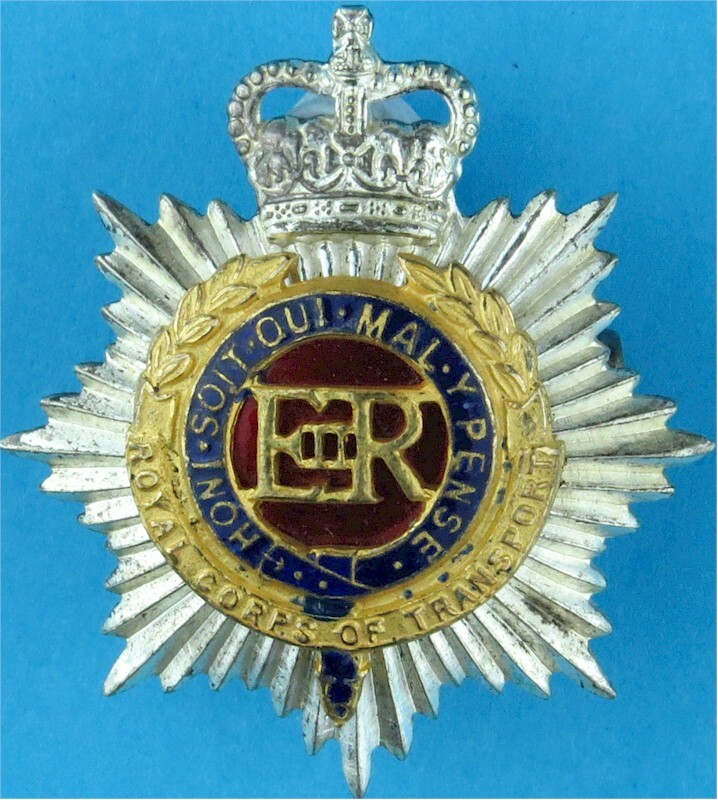 Many British Army badges are bi-metallic. On our catalogues, we abbreviate this to Bi. If you are going to buy British insignia, it makes sound sense to invest in some reference books - otherwise you could waste a lot of time, effort and money. The main ones we use are listed on our Recommended Reference Books page. We sell a limited number of reference books via our online catalogue. 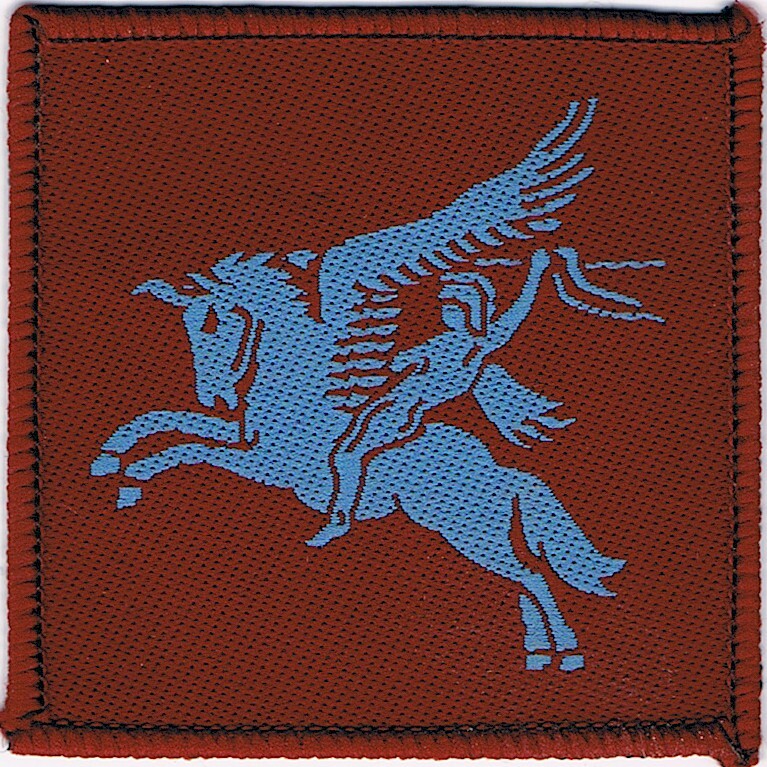 Style of Flemish weaving used for British cloth badges after the Allied liberation of the Low Countries in World War 2. Named after the province of Brabant in Belgium. Badges of this make can be dated from the closing stages of World War 2 to the early days of the post-war occupation of Europe. Gold or silver wire hand-embroidery. Screw-fit buttons are the rarest, they are used to secure Officers bullion wire shoulder boards on Number 1 Dress (and perhaps other uniforms depending on regimental dress tradition). This means only 2 on each Officer's Number 1 Dress uniform. Relatively few Officers possess Number 1 Dress. Screw-fit buttons tend not to be used on Other Ranks uniforms. Small buttons are fairly scarce. There are only 2 small-sized buttons on a peaked cap - used to secure the chin-strap. (Scots Guards Number 1 Dress Caps do not have chin-straps). Large buttons are fairly scarce because they are only worn on the great-coat and the front fastening of Guards scarlet tunics and Officers Service Dress jackets. The great-coat is no longer on general-issue (now only used for ' Public Duties' - ceremonial guarding of Royal palaces and households). Most Officers Service Dress jackets have only 4 large buttons. This size of button is much rarer than medium buttons. In 1751, British regiments were numbered, after 1767 these numbers were shown on buttons. (Some of these may be confused with more modern French or Belgian buttons, so look for the makers name on the back). In 1881, the numbering system for regiments was discontinued. 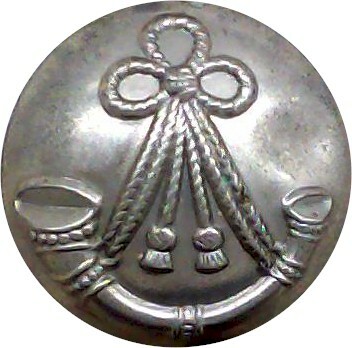 Although regimental pattern buttons continued for Officers, Other Ranks wore 'General Service' buttons from 1871 until after the First World War (the same pattern throughout the Army). The British Army is full of exceptions, and some regiments permitted NCOs to wear regimental buttons during this period. In the late 1960's the British Army changed from Battle Dress to an Olive Green Combat Suit. About 1970, the colour of the Combat Suit was changed to a camouflage uniform, sometimes called DPM. This is a mixture of Light Green, Dark Green, Brown and Black. A variety of designs of uniform in various weights of cloth have been used over the years. It is quite normal for soldiers in the same unit to wear different patterns of DPM uniforms depending on the prevailing design when they were issued with their kit - do not expect all British soldiers to be dressed the same! For the Gulf War of 1990 / 91 new DPM desert colours were introduced - light brown & sand. In normal daily language, phrases for DPM uniform are 'Combats', 'Combat Kit', 'Tropicals' (for the lightweight jungle issue) or 'Combat 95's' (for the latest pattern uniform) - British soldiers do not use the expressions BDU or BD. A monogram - the interweaving of the initials of a name. 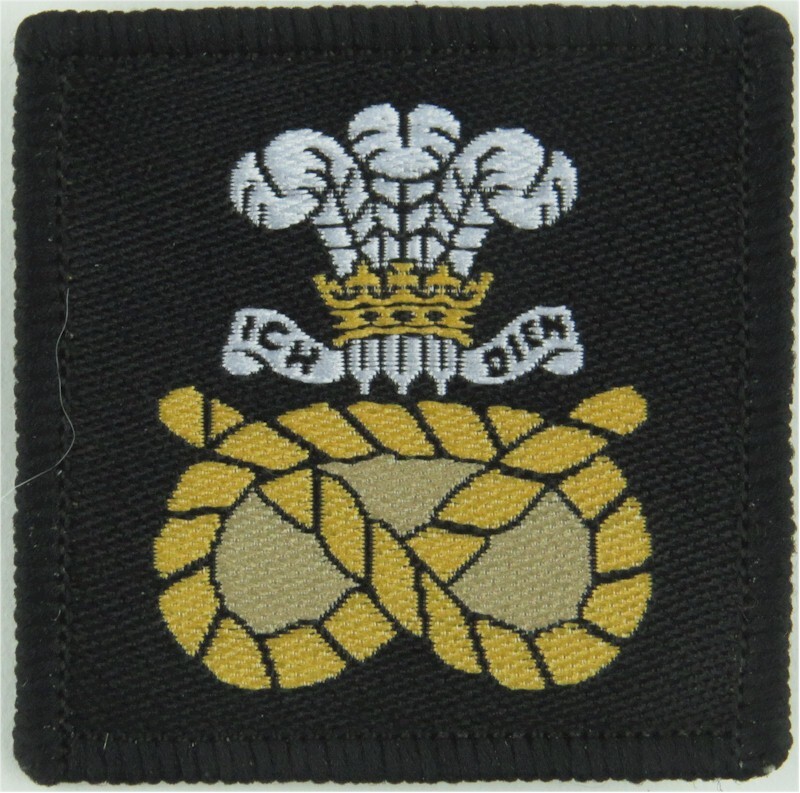 The Royal cipher is frequently used on insignia including buttons. The Royal cipher changes with the Monarch and this can be used to help date the insignia. 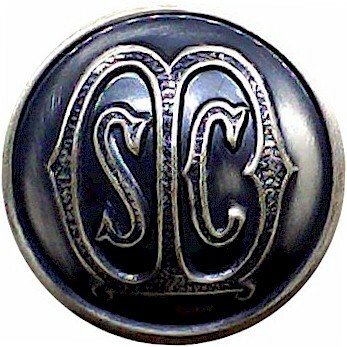 Other non-Royal ciphers, initials and monograms are used, especially on buttons - button reference books. Almost every unit in the British Army has its own unique collar badge. They are smaller than cap badges and are often a different design from cap badges. Some units have collar badges in facing pairs - particularly when the badges feature animals or people. These are worn so that they face each other and animals look to the front rather than backwards. If they face in opposite directions we mark them FL or FR - see our abbreviations page for more details. Also see Reference Books. The British Button Society was founded in 1976 and deals with all types of button. The Society publishes 4 excellent journals per year (called 'Button Lines'). The Military Heraldry Society was founded in 1951 and specialises in research and collection of military cloth insignia. It publishes 4 journals per year (called 'The Formation Sign'). The society meets 3 times a year in London, plus occasional smaller meetings elsewhere. With a different meaning, Colours are large flags which were traditionally carried to show the position of British units on the battlefield. They were carried by junior officers, often of the rank of 'Ensign', with a 'Colour Sergeant' to help protect the Colours. This tradition died-out with the move from scarlet to khaki uniforms. Regimental Colours are now only used for ceremonial purposes and are decorated with 'Battle Honours' - the titles of famous battles won by the unit. They tend to be replaced about every 25 years, and the old Colours are ceremonially 'laid-up' in the Regimental Chapel. Most Regiments have 2 colours - a 'Queen's Colour' and a 'Regimental Colour'. Colours are held in great esteem as a historic symbol of the unit: soldiers salute them when passing. Many badges feature crowns and these can be a useful guide to identifying and dating badges and buttons. Key dates are 1901 and 1952 as the shape of crowns on badges changed. (It may help to think of male and female crowns). Not all badges have crowns, but if they do, we mark our list QVC, KC or QC. QVC (Queen Victoria's Crown) indicates pre-1901. QC (Queen's Crown) is post-1952. Not all crowns fall into these categories, there are also Mural, Guelphic, Naval and Adastral crowns, plus coronets associated with nobility rather than Royalty. Disruptive Pattern Material - the cloth used for British Camouflage uniforms since about 1970. During both World Wars there was a shortage of manpower and metals. 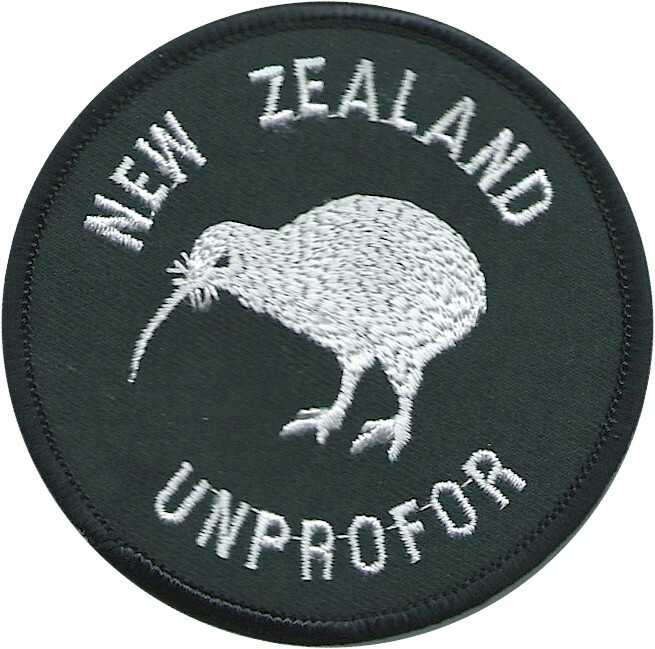 As a result, cheaper badges were produced. 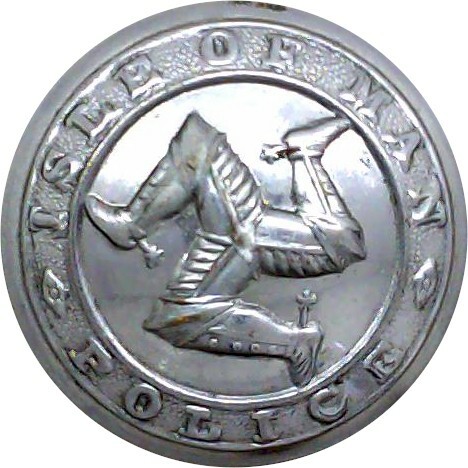 For WW1 many pre-war bi-metallic badges were made as single-metal all-brass badges. For WW2, badges were made from Bakelite. Embroiderers take a piece of cloth and stitch a design onto it. This can either be done by hand or by machine. We abbreviate this on our catalogues to 'Embr'. Our abbreviation 'Embr' generally refers to normal silk, cotton or poly-cotton embroidery, as opposed to embroidery using Bullion or Lurex. Weaving looks similar to embroidery, but the method of production is entirely different. There is no original piece of cloth, and the manufacturers start with the original threads and construct the cloth and design at the same time. If you try to unpick the design, you will be left with no cloth. Weaving tends to produce a flatter finish to the badge than embroidery. We mark these badges on our catalogue as 'woven'. Our catalogue marking of 'woven' generally refers to normal weaving as opposed to Brabant weaving. Fastenings - how insignia is attached to uniform and what this tells you. Some British cap badges fasten to the hat using 2 loops and a split pin, but many have a vertical shank, often called a slider. If it has a slider then it is almost certainly a cap badge. 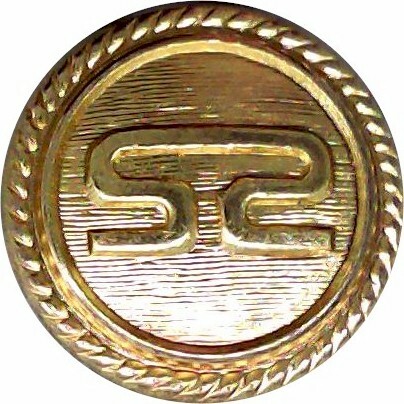 Many metal collar badges have a single square loop to take a split pin. If it only has 1 square loop in the middle of the badge, then it is probably a collar badge. More to follow when we have illustrations. Even in the UK, this term means different things to different people. Depending on Regimental tradition, it can either mean the No.1 Dress peaked cap, or it could be another word for side-hat. To avoid this confusion, we do not refer to Forage Caps in our online hat catalogue - we list them as either No.1 Dress caps or side-hats. I'll eventually add pictures which will make this easier to understand. On Battle Dress, these were worn on both upper arms. Sometimes they were made in facing pairs so that animal designs would face forwards in the attack. On modern combat uniforms, formation signs tend only to be worn on one arm, but it could be either arm, based on tradition. British military units have a wide variety of headgear depending on regimental traditions. Types of hat include - Helmet, Peaked Cap, Sidehat, Beret, Tam o'Shanter, Glengarry, Balmoral, Bearskin, Feather Bonnet, Caubeen, Athol Bonnet, Jungle Hat, Desert Hat, Ski-cap, Combat Cap, Busby and Shako. Within these categories there are many different colours and designs that have varied over the years. Some collectors want hats of specific sizes. One of the first things that a British soldier does on being issued with a hat is to remove the size label. A beret can either shrink or stretch depending on how the original owner washed it, so even if it still has a size label it may not reflect the true size of the hat. We cjheck sizes using a hat size-gauge. Modern British hats use metric sizes, the following size chart may help. We are not tailors or military outfitters, but sell collectable used hats. We prefer that you do not specify hat size when ordering. It is very time-consuming for us to check hats for size. Orders for hats of specific sizes will be put to the bottom of the order-pile for us to deal with when we have more time. If you insist on hats of specific sizes, please use metric sizes when ordering - this is to avoid confusion between British and American hat sizes. Gaiters are short leggings, usually canvas or leather with a 2-buckle fastening. Sometimes worn in different colours based on regimental traditions. Gold plating - often used on Officers' badges and buttons. The word 'khaki' is derived from an Urdu Indian word meaning 'dust-coloured', it has come to mean different colours in different countries. Olive Drab in the US Colour of wool used in US winter uniforms from 1902 to 1957, very similar to UK Dark Khaki. A metallic glittery thread used for some modern machine-embroidered badges in an attempt to imitate Bullion wire hand-embroidery. Commonly used for modern Canadian qualification badges. The over-lock stitched binding sometimes found around the edge of a cloth badge (especially woven badges) to prevent the badge fraying. Enlisted soldiers as opposed to Commissioned Officers. The British term for Visor Cap. Brits tend not to use or understand the term Visor Cap. We talk about No.1 Dress caps, Service Dress caps, peaked caps or forage caps. Puttees are woollen strips (like bandages) wrapped around the lower leg, normally dark khaki but sometimes different colours based on regimental traditions such as dark green for some Light Infantry units. Two sizes of puttees were issued. Until about 1937 these were worn up to the knee. With the introduction of Battle Dress, a shorter set were issued which would wrap around the ankle. They were phased-out in the mid-1980s with the introduction of a high-leg combat boot, and are rarely seen today. Officers sometimes wore 'Fox's puttees' - a private purchase item - lighter in shade than the general issue. Different materials are used in the manufacture of rank badges depending on which type of uniform they are for - ceremonial uniforms have larger and more colourful rank badges than combat uniforms. 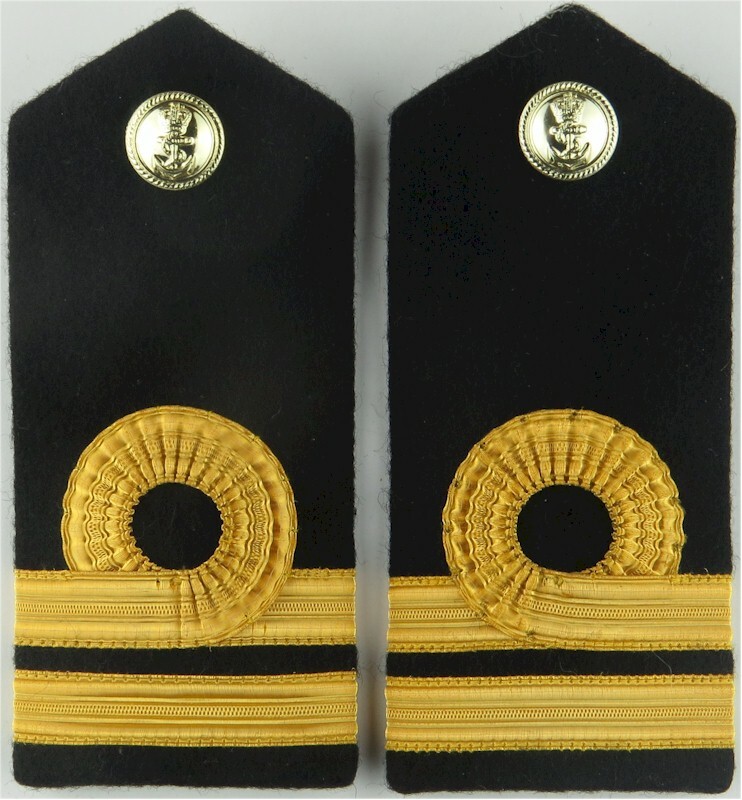 Rank badges can be metal, woven, machine-embroidered or hand-made on bullion wire. Some units have Regimental colours as backings to the rank badges. 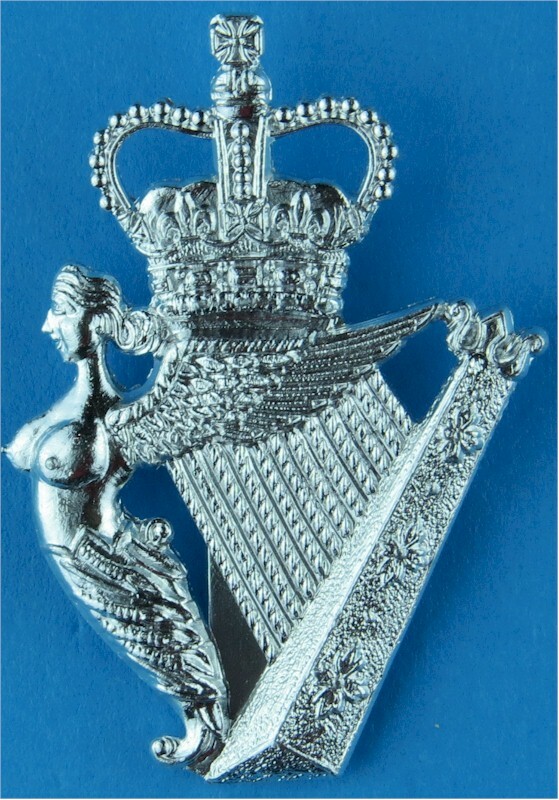 Click here for pictures of Royal Air Force rank badges. Do not confuse rarity and value. A rare item may not be valuable unless someone wants to buy it. A valuable item may not be rare. It may have derived its value due to cost of materials and production rather than scarcity. We do not do valuations or appraisals. We cannot tell from an internet image whether an item is genuine or not. If you want to know what something is worth, look on our online catalogue. If it is not there, then we am sorry, we cannot help. Very dark green - almost black. Traditionally worn by Light Infantry and Rifle Regiments. A manufacturers trade name for Anodised Aluminium. Alternative spellings are Sta-Brite, Staybright and Stay-Bright. The phrase 'Pounds Sterling' is used to differentiate currency from pounds as a unit of weight. The other meaning of Sterling indicates a purity of silver content. To be marked as Sterling, an item must have a Silver content of 92.5 % or more. If it has Sterling stamped on it, it is probably of British manufacture. Tartan Cloth issued by the British Government is given pattern numbers, some of the more common Scottish military tartans are shown below. Some Regiments have more than one tartan, such as a different design worn by pipers. Tartan patches are often used as cap badge backings on the Tam o'Shanter hat. When used as badge backings, they are often of a particular size or cut of the tartan. The tartan number is often shown on the clothing labels of military uniforms, so this can be used to identify the regiment if you have seen the clothing label. 1 Government Tartan No. 1. The British Army has a system of numbering for its uniforms, this is different from the Royal Navy or Royal Air Force numbering system. Soldiers are not issued with the whole range of uniforms as some are restricted to particular theatres of operations. Not all numbers are referred in day-to-day language. For example Combat Kit is seldom called by its number. No.1 Dress Temperate climate ceremonial uniform, normally dark blue-black with high 'stand-up' collar, sometimes known as 'blues' or 'patrols' or 'blue patrols'. No.2 Dress Temperate climate parade uniform, khaki jacket and trousers - worn with a khaki shirt and tie. The Officers' version is known as Service Dress or SD - the main difference is the buttons, pockets and belt. No.3 Dress Tropical climate ceremonial uniform - usually white jacket with high 'stand-up' collar. Usually worn with No.1 Dress trousers. No.4 Dress Tropical climate parade uniform. Similar to No.2 Dress but lighter in colour and weight of cloth. Normally worn by officers when soldiers are in Number 6 Dress. No.6 Dress Tropical climate parade uniform. Similar to Number 4 Dress, but the jacket has a different shape of collar and is worn without shirt or tie. Normally worn by soldiers when officers are in Number 4 Dress. No.7 Dress Tropical climate working uniform (Dacron). A light-weight version of barrack dress. Dark green short-sleeved shirt and trousers. The shirt is tucked into the trousers and is normally worn with a coloured stable belt. Normally worn without a jacket. No.8 Dress Temperate climate combat uniform. Camouflage uniform. No.9 Dress Tropical climate combat uniform. Lightweight camouflage uniform. No.10 Dress Temperate climate mess uniform - normally for Regimental dinners and occasional functions such as watching an annual regimental boxing match. These come in a great variety of colours and patterns - most with trousers, some with kilts. There are often substantial differences between Officers' and Other Ranks' mess uniforms. Normally the minimum rank to wear mess kit is Sergeant, but some units have a Corporals' mess dress. Some regiments still wear the 1902 pattern with a high collar, others wear the 1939 pattern with white shirt and black bow tie. Most regiments use soft shirts all the time, but others keep a tradition of wearing stiff-fronted shirts on formal occasions such as when Royalty is present. No.11 Dress Tropical mess uniform - usually white jacket, normally worn Number 10 dress trousers, soft white shirt and black bow tie. No.12 Dress Working Dress - normally lightweight olive green trousers, but some (mainly armoured) units wear coveralls as their working dress. Waistcoat in UK = vest in US. Vest In UK = undergarment worn next to the skin. The silver-coloured cupro-nickel as used for silver-coloured coins. We abbreviate this to WM on our lists.